Today saw Dalestorth donning outfits of lucky red and gold instead of the usual blue in order to celebrate Chinese New Year. We began the day with an assembly all about Chinese New Year, it's history and background and traditions of the festival. 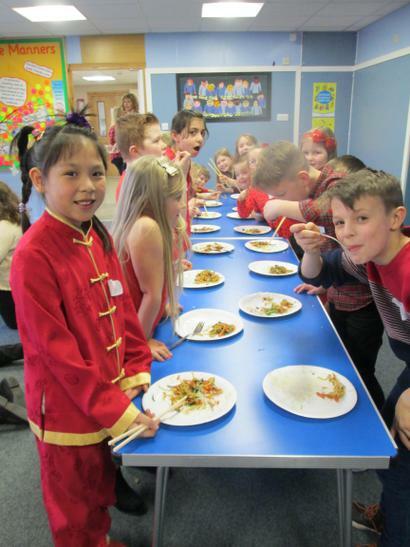 The children in mixed age groups then went onto enjoy activities that helped them experience and understand more about Chinese life and customs and the New Year festival itself. All children enjoyed a fortune cookie and a Chinese inspired meal for lunch. 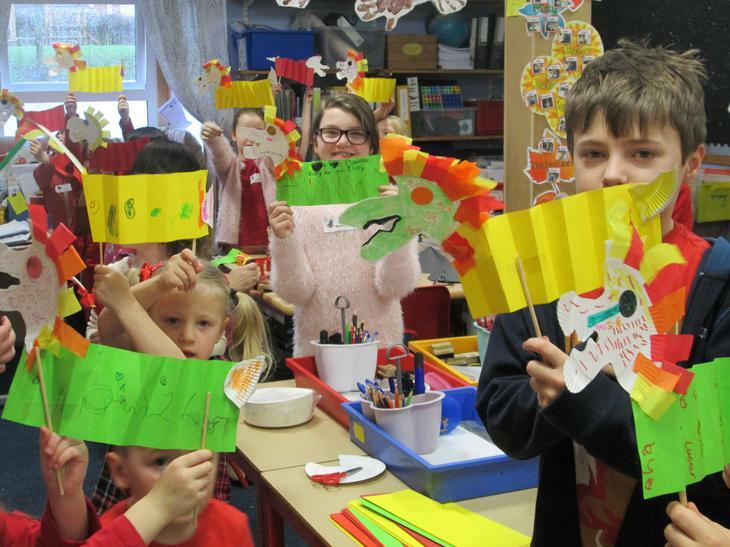 Activities throughout the day involved: Cookery, lantern making, dragon making, making money wallets, calligraphy, drama and story telling, lucky orange gifts and making this year's symbol of the monkey.